Today I realized the last two summers I’ve spent most of my time re-watching two TV series I enjoy a lot: Fringe (2008-2013), and Lost (2004-2010). Today I also remembered both of them were created by J. J. Abrams (with Jeffrey Lieber and Damon Lindelof on Lost, and Alex Kurtzman and Roberto Orci on Fringe), known lately for his reboot of the Star Trek franchise. I don’t like what he did to Star Trek. For me, his characters are flat and lacking the freshness and ahead-of-its-time quality of the Star Trek world. Abrams turned the beauty of the themes in Star Trek—acceptance, diversity, respect, and honor—to the action-driven superficiality of Star Wars. I asked myself why Abrams took that turn, especially after creating all the rich characters and complex situations on Lost and Fringe. That’s a rhetorical question, of course; in most cases they (Hollywood, the film industry, the producers) create what the audience wants. Other than this statement, I don’t have an actual answer to that question. I could think that Abrams wanted to portray the characters according to the personalities shown in the Original series. The problem with that is that Abrams’ reboot was released on 2009, and the Original series on 1966. The period difference is ridiculous, including the social/political/cultural circumstances. In other words, you cannot expect the 60’s Star Trek formula to work seamlessly in the 21st century. It is antiquated. But I’ll stop now. That’s a topic for another discussion. Today I want to talk about Lost and Fringe: two TV shows that focus on character developing with a side of science fiction and drama. Lost develops a story about a group of people that survive a plane crash on a mysterious island. Even though the characters are physically lost, their journey to be found is also an emotional and a psychological one. They need to be found, but they also need to find themselves and accept their lives and choices while surviving smoke monsters, dead people walking, hallucinations, time traveling, and unknown enemies. Lost’s parallel narrative allows to understand the characters by showing their pasts. With this, the audience is allowed to accept the characters’ actions as consequences of their circumstances. It is nearly impossible to not grow some kind of sympathy for, at least, one character. 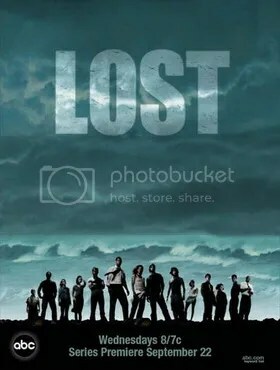 At first glance, Lost seems like a diverse TV show with a wide array of characters. That is true in terms of personalities but it is not true in terms of race and gender. Since the beginning of the show, the majority of the main characters are male (Jack, Sawyer, Hurley; Sayid, Boone, John; Michael, Walt, Charlie), with only four main women (Kate, Shannon, Claire, and Sun). The show only has two black main characters (Michael and Walt), and two main non-American characters (Jin and Sun). As the series develops, new characters appear but the ratio of men/women and white/non-white is not altered. In terms of gender, Lost ends up with only three strong female roles: Kate, Sun, and Juliet; all the other female characters are dismissed because they either die, disappear, became background characters, or aren’t relevant to the development of the story. In Juliet’s case, she dies before the show’s finale. Lost also recurs to stereotypes. This is easily noticeable with Sun and Jin, a married Korean couple. Their portrayal is an example of an Occidental view of the Orient/Asia in terms of superiority and ethnocentrism. 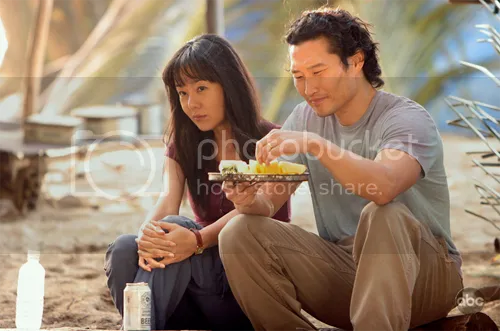 Also, their characters could be identified as Asians because of the incorrect representation of Korean culture—they could fit into any Occidental description of an Asian couple, regardless of their country of origin. Putting these flaws aside, Lost presents a buffet of literary references. It’s a well-thought TV show that invites to think. Not only to understand what is happening in the narrative, but to think also in a philosophical level. The easiest reference is having John Locke as the name of one of the main characters. It grabs me every time because I want to not be lost. If Lost can be located on one side of the science fiction spectrum, then Fringe could be located on the other side. The main difference between the two TV series is their narratives. While Lost is a suspense story with more than ten main characters, Fringe is more like a crime thriller with only three main characters (highly inspired by The X-Files [1993-2002]). 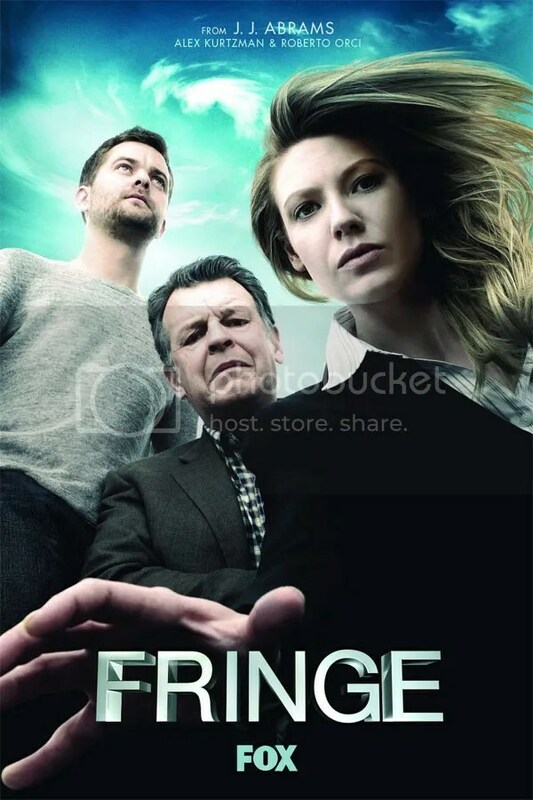 Fringe develops the story of Olivia Dunham, an FBI agent with special abilities that works with the fringe-science division. This division answers to all the paranormal-weird-alien-time traveling-cryptozoology cases that occur in the United States. Contrary to Lost, Fringe’s main character is a woman that, with the companionship of Peter and Walter Bishop, and the help of the agent Astrid Farnsworth, resolves all the possible cases—up to a point because there’s a bigger problem developing. Fringe is intelligently written, too, but also scientifically and narratively mesmerizing. Who doesn’t want to have a cow in their laboratory, or test experiments in the kitchen, or be inherently strong like Olivia? And let’s not talk about September because my love is infinite. As a write this, I notice that I may like Fringe more than Lost because thinking about it makes my brain smile. You write great reviews! 🙂 Looking forward for the next one!